Parachute jump over Air Base. 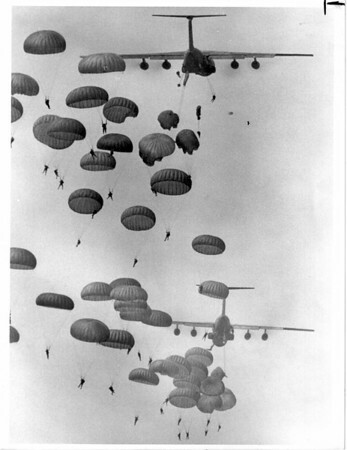 40th Convention of the 82nd Airborne 400 paratroopers dropping from sky over base. Photo - By James P. McCoy - 8/15/1986.